Beautiful home - beautiful location! 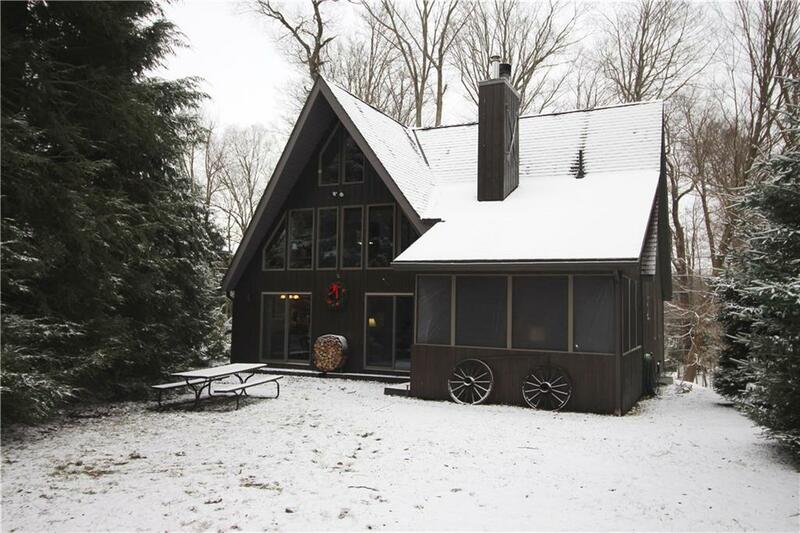 A short drive from Peek n' Peak on Findley Lake, this 4 bd/2.5 bath year round home can be a full-time residence or weekend get-away. The home features a large kitchen which adjoins a dining area, living room with fireplace and vaulted ceiling, screened porch, first-floor laundry/mud room, first-floor master suite, upstairs loft, and plenty of storage space. Enjoy the attached carport for your car or boat along with plenty of additional parking for guests. The property is being sold two ways: one includes the lakefront parcel and the other way gives lake access by renting dock space on the lakefront parcel. See MLS R1166119 for lakefront information. Directions To Property: Gp West On I-86 W To Ny-426 In Findley Lake. Take Exit 4 From I-86. Follow Ny-426 S To Shadyside. Look For Sign.